Gucci Mane comes through as well. 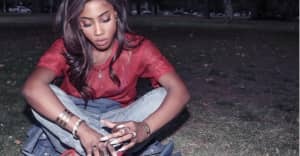 Fresh off releasing the audio for single "Prolly" featuring Gucci Mane, singer Sevyn Streeter is here today with a big visual for the single. The Mad Max-looking affair also gets an appearance from Gucci. Along with the new clip, Streeter is also announcing her debut album GIRL INTERRUPTED. Boasting production from the likes of The Dream and Bangladesh with features from Gucci and Ty Dolla $ign. Sevyn was nice enough to get deeper about her first LP with The FADER over email. Watch "Prolly" above and hear her thoughts on the album and the upcoming election below. You're finally able to announce your debut album. Tell us a bit more about it. Does it haver a theme or anything? SEVYN STREETER: The theme of this album comes from me taking accountability and responsibilities for the mistakes and successes in my life...My choices. Me along the journey, learning lessons about the decisions I've made. What was the recording process like for the record? Smooth? Difficult at times? My recording process has always been my therapy. I pour a glass of brown and speak my truth. The songs are birthed from my experiences, friends experiences and an overall observation of life. Besides Gucci, who else did you work with on GIRL INTERRUPTED? I don't want to give them all away, but in addition to Guwop, I also have features from Dej Loaf, Ty Dolla $, August Alsina, Dave East and a few more I'll keep tucked away for now. On the production side, Charlie Heat did the lead single "Prolly". I worked with some vets like The Dream and Tricky Stewart, Sean Garrett and Bangladesh. I also worked with some newer producers like Squat Beats and Cam Wallace. On the writing side, I worked with some new writers and brought in my normal writing squad. I've been a fan of Jeremih's songwriting for a long time, so was happy that we were able to lock in and create on this project. So many creative people played a major part in helping me tell these stories! What significance does the album's title hold? The title GIRL INTERRUPTED perfectly depicts where my head was while creating the album and where I am at this point in my journey. If you define the words "GIRL" and "INTERRUPTED", you'll see this..."GIRL: A female child." I am no longer in that space or mindset. Naive, blaming others for where " I " am. I'm now confronting my issues. I'm acknowledging bad decisions that I've made, choices that I've made, people that I was involved with, perhaps that I shouldn't have been. I'm just scrutinizing myself on a higher level. If you define the word "INTERRUPTION." you'll see this: Stop the continuous process of (an activity or process). So for me GIRL INTERRUPTED is a good thing, not a negative thing. I needed to be interrupted, to stop, pause, take a look, self-analyze and keep it moving. Have you seen the movie with Angelina Jolie and Winona Ryder Girl, Interrupted? Yes I've seen and love the movie! I understand that it's set inside of this mental ward and Angelina's character was deemed crazy, but I feel like we're all inside of this big ward called life. I mean, we got Donald Trump running for president?! He's the head of the psych unit right now, lol! All jokes aside I've had my crazy moments but I'm all clear now. No more rose colored glasses on my face. I'm ready to look life straight in the eyes and say "let's go!" How do the "Prolly" video's Mad Max vibes connect to the song? Though I'm definitely a fan of Mad Max, I honestly can't take responsibility for this creative vision. I gotta hand it to my director Mike Ho! He turned the feeling and vibes I had while writing "Prolly" into reality! I knew the song was unapologetic, raw and edgy and he created a treatment/environment that brought it to life!